For anyone keeping up with my blog, you would know that I went to the Sacre Coeur and Montmartre during my second week in Paris, but being an idiot when it comes to maps, I was unable to find many of the other landmarks that you must see in Montmartre. Luckily, the Dauphine Erasmus Club organized an afternoon exploring Montmartre with French students guiding us so we learned about the history and culture of Montmartre, which is an extremely unique and special part of Paris. 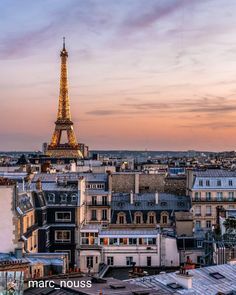 Just a reminder that Montmartre is in the 18th arrondissement, and is known for its night clubs, cabarets, and its rich history as inspiration for writers and artists. This was on the Saturday after my first night out clubbing, January 24th, and it was a pretty chilly day. Not too cold with a little sun, but definitely chilly. We met up at Abesses metro station, which is in the heart of Montmartre and can be seen in a movie I highly recommend to foreign movie buffs called “Le Fabuleux Destin d’Amélie Poulain” or just Amélie in the U.S. It is a tad on the bizarre side, in fact, one of the strangest movies I’ve seen, and in French, but it is a very popular and enjoyable movie, which takes place largely in Montmartre. I found my Italian friend, Giuliana, we caught up a little, and the French students who organized the visit made their way around to introduce themselves and explain that we would be splitting up into several groups since there were so many of us. Unlike most French students, they were surprisingly friendly and happy to meet us, and one of them started calling me “New Mexico.” When we finally split up and started the tour, we walked through a farmers market, and then started by looking at “Le mur des je t’aime” or the Wall of Love. As you can image, it is a wall with the words “I love you” written all over it in many different languages. It was very cute and we stayed there quite a while since so many people wanted to have their pictures taken in front of it. From there, we started out walking tour of Montmartre which involves climbing many steep hills. This area is higher elevated than most of the rest of Paris, so many of the streets are very steep, and tiring to walk up. We made it to the market that was featured in Amélie, which a place she frequents in the film. The cafe where she works is also a real cafe in Montmartre but we didn’t see it on this tour. Next, we went passed Le Moulin de la Galette, which is an old and famous restaurant, recognized by its windmill, (Moulin means windmill by the way), and used to be frequented by many famous artists. It is near the very top of the hill that is Montmartre, and there is a very nice view looking down. We then came to an interesting statue with an cool story behind it called Le Passe-muraille or “The passer-through walls,” which is based off a short story by Marcel Ayme. Its the story of a man living in Montmartre who has the ability to walk through walls. He used his power to drive his boss crazy, and rob jewelry stores and banks, and soon became notorious after purposefully got himself thrown in jail, only to use his power to escape form his cell. He even used this power to sneak into the home of his married lover while her husband was away. But one day, after taking aspirin that his doctor had prescribed him to cure him years earlier by accident, he found himself unable to fully pass through the wall when his lover’s husband got home. He got stuck in the wall and remains there to this day. I thought it was a cute story and I like the statue. After that, we quickly looked at the outside of “Le Lapin Agile” which is probably the most famous Parisian cabaret after the Moulin Rouge, which isn’t too far away. This quaint little building has been visited by some of the most famous artists and writers of its time, including Picasso, Modigliani, Apollinaire, etc., and apparently has remain largely unchanged inside. Next to it, is what I believe they told me are the oldest vineyards in Paris. Unfortunately, it being winter, they were bare, but still a really cute, small plot of vines. I don’t remember the story exactly, but I think they said the wine that comes from this wine is very famous, exclusive and expensive. Don’t quote me on that, but I do remember them saying that only the winemakers are allowed to set foot inside the gates, and that these vines are very old and special, though maybe not the best quality in France. From here, we made our way to the Sacre Coeur Basilica, which I’ve already seen twice, but don’t mind seeing over and over. We got to see it from the back, which I hadn’t done before, and I found it even more beautiful than the front. We toured the basilica, and as we already know, no photos allowed (for those of us who respect their rules), and after we went to the front steps, where it was bustling. There was a man playing guitar, giving a little concert to the tourists, as well as a guy who I saw the last time I came to France, who climbs a light post and does balancing tricks, which are really quite impressive. And of course you have the amazing view of Paris. It was very crowded and hard to keep track of the group, but Giuliana and I had time to take a selfie before we all made our way down the hill for a group photo. The last place we visited in Montmartre was the Place du Tertre, which is a famous area where artists attempt to sell their work, and even set up their easels and paint in front of you. It was near this area where artists like Picasso used to live and paint. In this area, you will certainly be pressured to be painted or sketched by someone, for a price of course, but if you are into that kind of souvenir, this is the place. There are also many cafes and souvenir shops surrounding this area. By this time, my feet were completely frozen and was getting tired. The visit ended at a bar, where Giuliana and I met up with some newer friends, Luisa from Brazil and Hannah from South Korea. We decided the bar was too crowded and we wanted to get some food because we were starving, so we left and made our way to a crêperie that Luisa had heard was very good. To get there, we had to go from the 18th to the 6th, but by metro it’s an easy trip. The place was called La Crêpe rit du Clown, and it was really good! I was hungry for food, but I’m not really a savory crêpe person, so I got a sweet crepe, with vanilla ice cream, chocolate sauce and almonds inside. It was absolutely delicious! Giuliana also got a sweet crêpe, and Luisa got a salmon one. Now, I said I’m not a savory crêpe person, but Hannah got one that caught my eye on the menu, but I decided against it because it was one of the most expensive ones they had. Luckily for me, it was really big and she shared it with me, and it was simply perfect. Inside was a full steak (cooked to perfection), with mushrooms, herbs, and honestly, I forget what else, but it was so yummy I wished I had ordered it. Definitely worth the higher price tag. We hung around and talked for a while, and had some nice conversations getting to know each other better, and from there we walked back through the 6th arrondissement back to the metro, and our separate ways back home. All in all, a really enjoyable day in a beautiful and historic part of Paris! Hey there! I am so happy I found your site. I’m really admiring the time and energy you put into your blog and in depth information you offer. It’s simply generous of you to offer without restraint precisely what many people could possibly have offered for an e-book to help make some bucks for themselves, particularly considering the fact that you might have done it.